At Colourful Keys, we teach students from age 3 and a half up. Starting music lessons at a young age is extremely beneficial in many different ways. Learning music is actually all about patterns. By studying music, children learn to recognise patterns visually and aurally which can help with understanding maths and other subjects in school. Music and maths have a very close relationship. Studies have shown that learning a musical instrument can actually create new pathways between the left and right side of the brain that wouldn’t exist otherwise. Musicians are quite literally wired differently. Music lessons can also help students to develop better hand-eye coordination and finger dexterity. Beginning young also makes a big difference in students’ rhythm skills throughout their life. Studying music can also foster persistence and grit. Have you heard of Carol Dweck’s studies on growth mindset? I have seen first-hand how students who initially had a fixed mindset approach to learning (they thought they were not talented/good enough and would give up easily) have gradually developed this belief and understanding that practice pays off. This “stick-to-it-iveness” is a huge boost for life in general. This is the most important one in my opinion. Learning music is FUN. Playing music is FUN. And starting at a young age is the best way to ensure your child will have a love and understanding of music for life. Plus when they learn at Colourful Keys they’ll definitely be having fun every step of the way since we believe in teaching all our students through creativity and play. The Mini Musicians program is the perfect first introduction to music lessons for your child. This is a no-pressure, no-practice curriculum where we explore music and the piano through improvisation, songs and games. In their first year, Mini Musicians learn to explore sounds, listen actively and move to music. They also get introduced to the piano keys, develop reading skills and learn about rhythm notation. In the second year, they begin to play more pattern based improvisations and learn to play folk songs on the piano together. 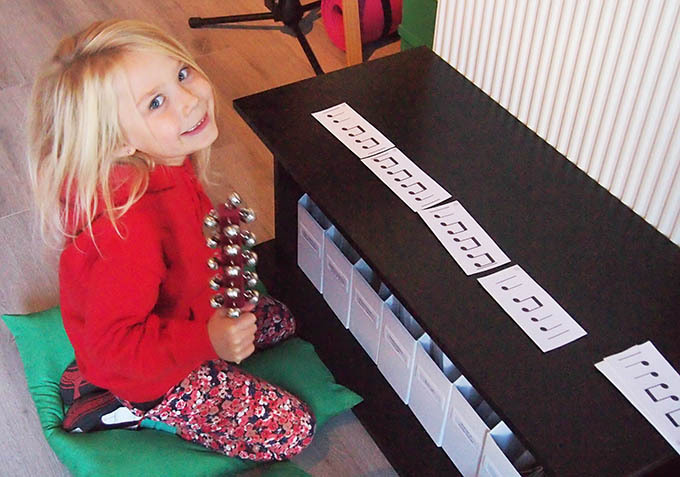 You do not need a piano at home for your child to take part in Mini Musicians. It is beneficial to have instruments for them to experiment on but this could be bells, a glockenspiel or a toy keyboard. Students in Mini Musicians will not have practice assignments but will benefit from trying the fingerplay rhymes and listening to music we’re covering in class between lessons. Mini Musicians is a weekly 40-minute class. Groups are kept small, just 4-6 students, so your child will get the individual attention they need to thrive. Each weekly class involves singing, moving, improvising and learning about music through games. Parents normally do not stay for this class (kids often find their own parents a bit distracting!) but are welcome to sit in whenever they want some students may need this in the first few weeks to ease the transition. 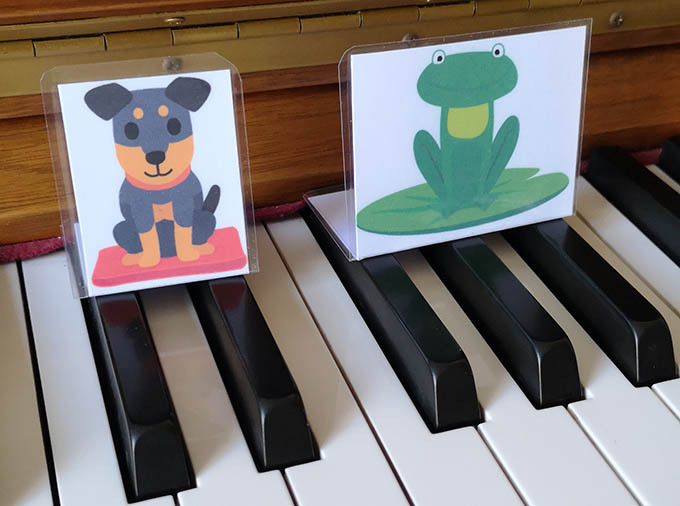 If you feel that your kiddo is ready for a more focussed and structured piano lesson experience then buddy lessons might be a better fit. Buddy lessons are the standard lesson format for most students at Colourful Keys where students spend a portion of their lesson one-on-one with their teacher and the other time with another student for “buddy time”. This overlapping time in our lessons allows us to explore more creative activities, game-based learning and ensemble playing than you will find in traditional piano lessons. Young students will need lots of help with practice, especially in the first couple of years. When your 3-5 year old starts lessons you’re not just committing them to lessons each week, you’re also committing yourself to the role of “practice coach”. Practice will need to be done daily and your child will need your help to read teacher notes and structure their practice time. You do not need any musical experience to help during practice time, however, so don’t worry if you can’t read music. Your teacher will be there to help every step of the way, and you might end up learning something too! Which preschool piano option is right for my child? Ultimately, you know your child and your family best. If you’re having trouble deciding on which lessons would suit you – go with your gut feeling. Either way, your child will be getting a great start in music and all the additional benefits that music lessons provide for their overall development.